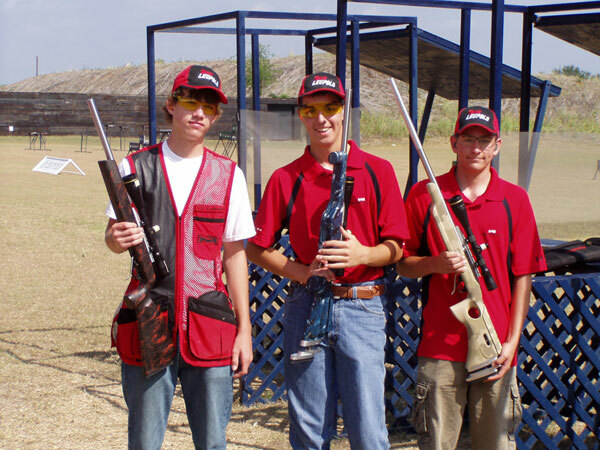 The McMillan-sponsored junior team won the junior class championship at the Sportsmans Team Challenge nationals in San Antonio in June 2009. It was a hard fought battle with scores that were neck-and-neck with the other teams during the 3-day competition. Members of the 3-man team include DJ Arnberger, Austin Elbert and Wes Borie. The STC features shotgun, rifle and pistol events shot by 3-man teams. The STC highlights speed, accuracy and all-round shooting excellence. Competition is stiff at the nationals. We congratulate these fine young men on their achievement. 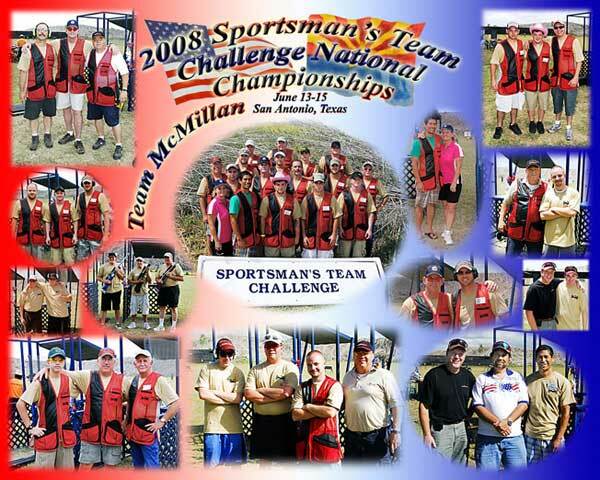 McMillan fielded seven teams to represent Arizona at the national 2008 Sportsman’s Team Challenge (STC) held June 13-15, 2008 at the National Shooting Complex in San Antonio, Texas. Two of the seven McMillan teams made it to the finals. During the annual STC competition, each member of every team is required to shoot three firearms – rifle, pistol and shotgun. There are six individual events and all shots by every team member are used to calculate the final score. Below are pictures of Team McMillan.